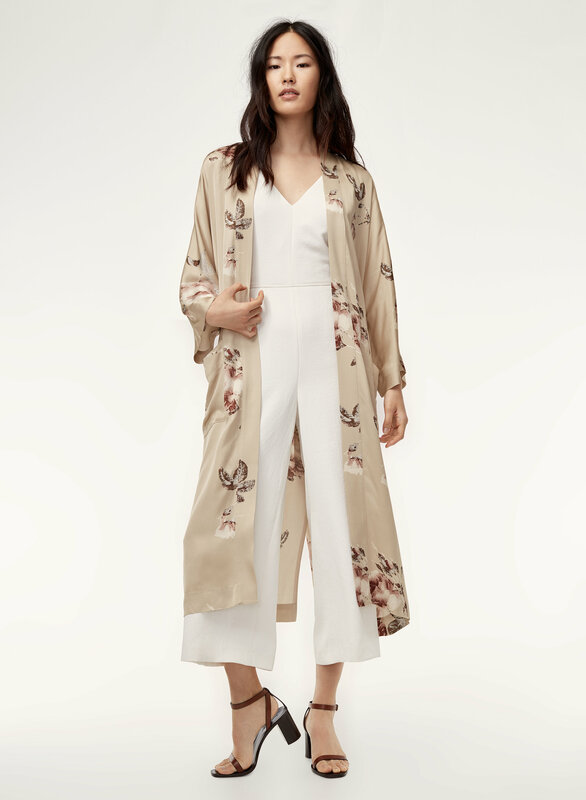 Styled with écoulement v jumpsuit . 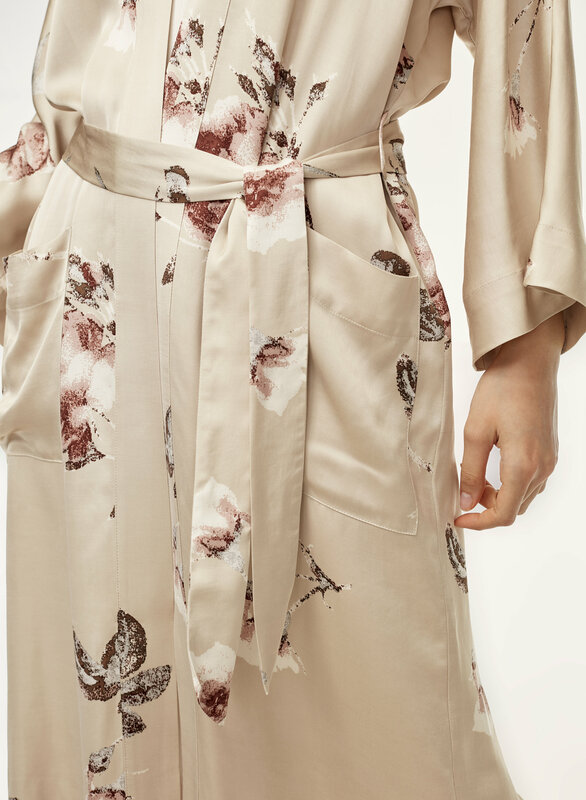 This robe jacket is made with a beautifully lustrous and smooth satin. 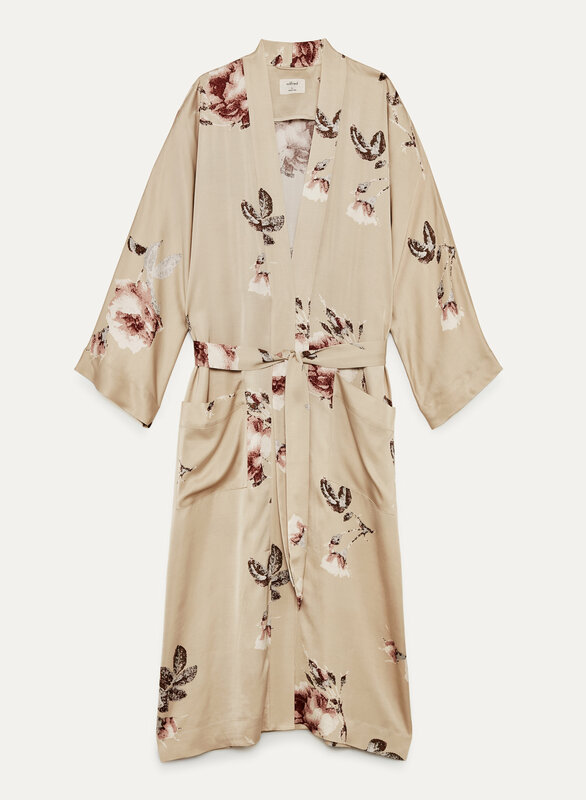 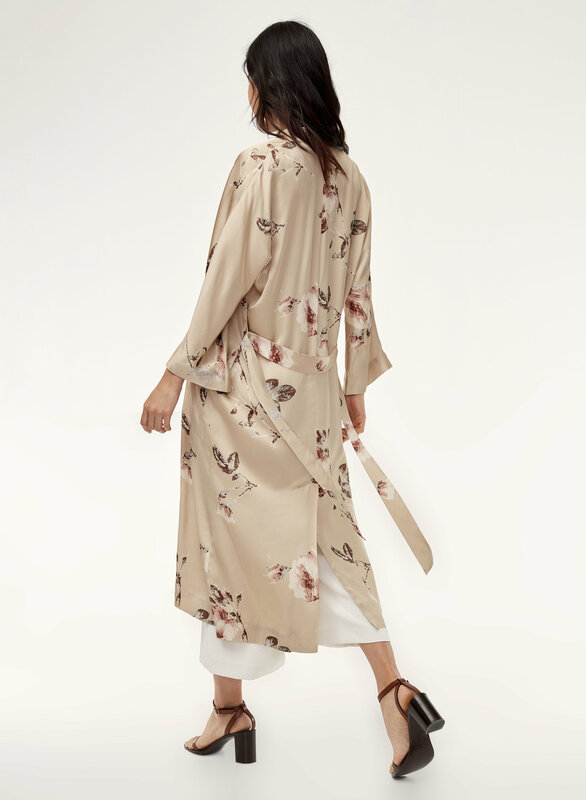 Kimono sleeves and a maxi length play off a vintage inspiration.